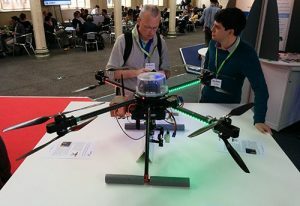 As Europe’s largest robotics lab, you would expect the Bristol Robotics Labs (BRL) to spin out some interesting companies developing unmanned aerial vehicles (UAVs) or drones. But there are other developments across the region that make Bristol and Bath a key location for UAV technology development in 2017. 1. Imitec, a spinout of the University of Bristol, has developed an Autonomous Airborne Radiation Monitoring system (AARM) that provides low-altitude mapping of radioactive contamination using a drone. A customised drone with a flight time of 40 minutes carries a high-performance spectrometer able to produce maps of the radiation with a resolution down to 1m over high dose areas and inaccessible locations, minimising the risk to operators. It differs from current radiation detection systems in that, in near real time, it locates measures and maps radioactivity and the isotopes present thus significantly speeding and improving the efficiency of radiation detection. AARM was the first UAV ever to fly over Sellafield nuclear facility in the United Kingdom and has also been used to undertake radiation surveys in Portugal and in the Fukushima Prefecture in Japan. Expect to see more from them throughout 2017 after coming 5th in last year’s global ‘Drones for Good’ competition. 2. BRL spinout Marble has targeted the booming market for precision agriculture. With a fixed-wing autonomous UAV that can take off and land vertically from a ground station, the technology allows farmers to easily monitor large fields of crops remotely, saving time and money. 3. 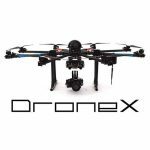 DroneX is perhaps more developed than other UAV startups in the region. 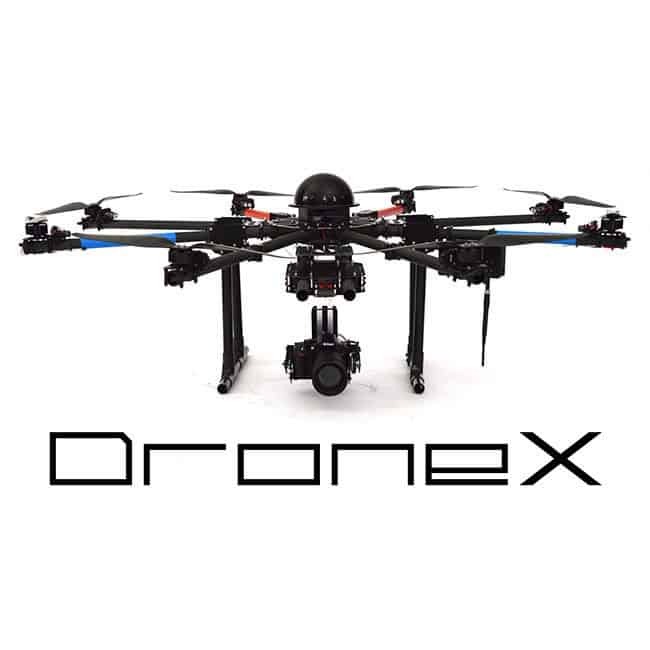 It designs, develops and operates UAVs and other related technologies with a focus on research and development. The custom-built systems are used for commercial, industrial and scientific purposes applications at the cutting edge of what is possible. 4. 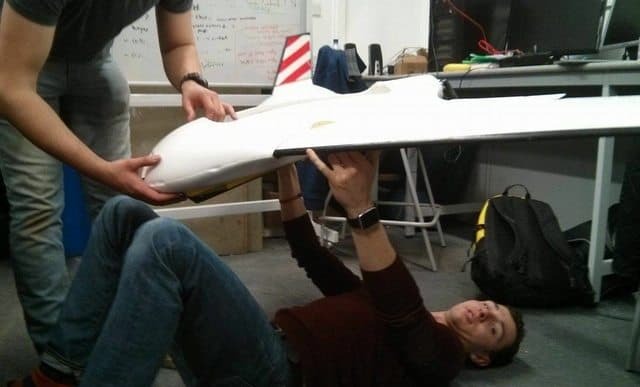 Team Bath Drones (main picture, above) is a group of final year students at the University of Bath working to create the ultimate autonomous UAV for the UAS Challenge run by the Institute of Mechanical Engineers. Led by Barney McMahon and supervised by Dr Pejman Iravani, Dr Jon du Bois and Dr David Cleaver, the team has utilised its interdisciplinary expertise in aeronautical, mechanical and electrical engineering to design its debut aircraft, the Skyseeker. This is designed for speed, range and autonomy. Once launched, the aircraft will be capable of quickly flying through predetermined waypoints, identifying ground-based targets en route and delivering payloads with pinpoint precision. All of this will be achieved with no pilot, allowing the drone to intelligently and independently accomplish its mission. 5. The world’s first autonomous drone racing competition takes place in Bristol in February. The Maaxx (Micro Aero Autonomous Extreme) Europe event brings together enthusiasts, researchers and the world’s leading aerospace companies on 11 and 12 of February at the University of the West of England (UWE). 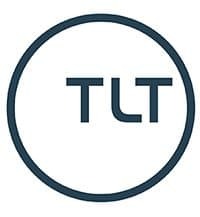 It is run by High Tech Bristol and Bath (HBB) as one of its Special Interest Groups in partnership with the UWE and will see a series of workshops and races to test out the best autonomous software by racing around a set track and avoiding other aircraft.